This Johnny Cash inspired Capo has the same construction roots as the Victor Capo with a black finish and ''Cash'' inscription. 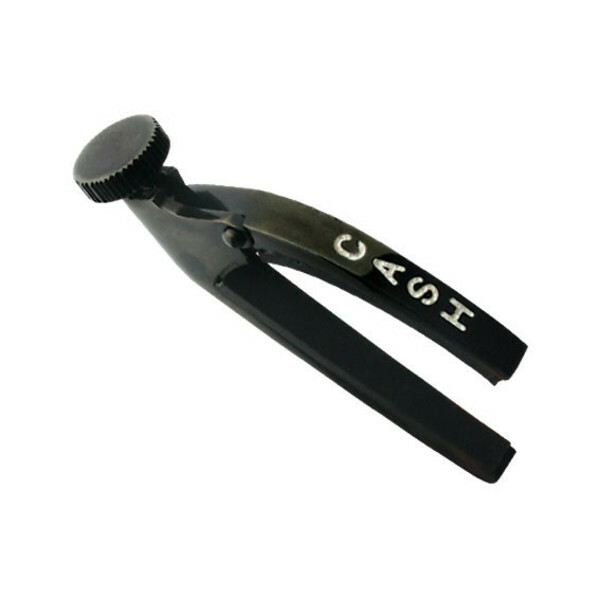 The Jim Dunlop Johnny Cash Capo is cast in bronze to give it a sturdy construction that will last for years of use. The fast action worm gear allows you to adjust the amount of pressure quickly and easily to find the perfect tone. A precise locking grip secures the capo in place resulting in buzz free sound. This essential guitarist's accessory is a high quality addition that will aid your performance for years.